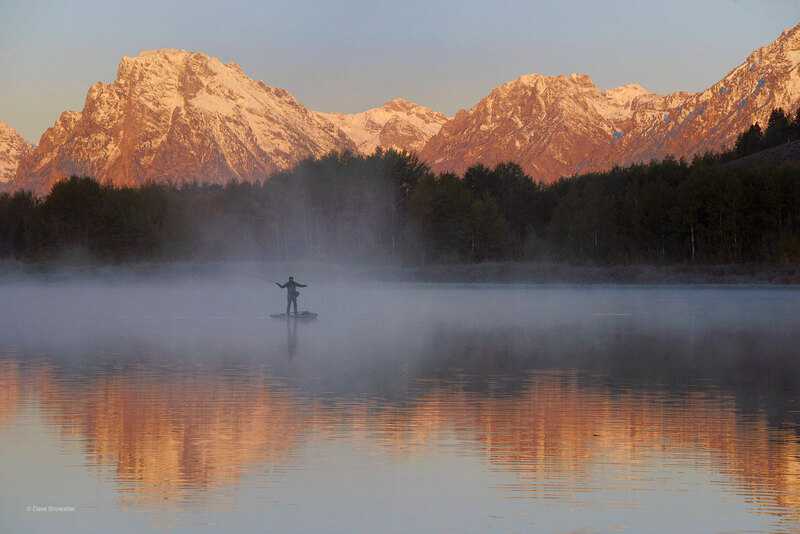 A SUP fly fisherman is a welcome surprise at sunrise on a crisp fall morning along the Snake River at Oxbow Bend. I made the image while leading a group at the Summit Fall Nature Photo Workshop, pho in Jackson, Wyoming. Photo © copyright by Dave Showalter.